One would be legitimately hard-pressed to find a fight as bizarre as the UFC Fight Night 148 main event in Nashville, between welterweight top contender Stephen Thompson and former lightweight champion Anthony Pettis. There’s really no reason for the fight to happen, and there’s very little that will likely come of it; the only rationale seems to be that (at the time of booking, at least) neither fighter really had much to do. Pettis is off a loss to lightweight top contender Tony Ferguson, in an absolute barnburner that has many believing that the former champion is back to form; he faces Thompson a weight class higher than his own for basically nothing but bragging rights. It isn’t clear whether Pettis intends to stay at 170 pounds (where a win over Thompson would have him in the title mix) or he’s staying at lightweight, but beating Thompson would be one of the more impressive displays of his career. Thompson is off a razor-close loss to Darren Till; when Thompson/Pettis was booked, he had nowhere to go (with his previous loss to then-champion Tyron Woodley), but the title change at UFC 235 changes his situation greatly. Beating Pettis gets Thompson nowhere in terms of facing the champion Kamaru Usman; it’s a definite detour for “Wonderboy,” but a dominant win would leave him in position for a title eliminator. 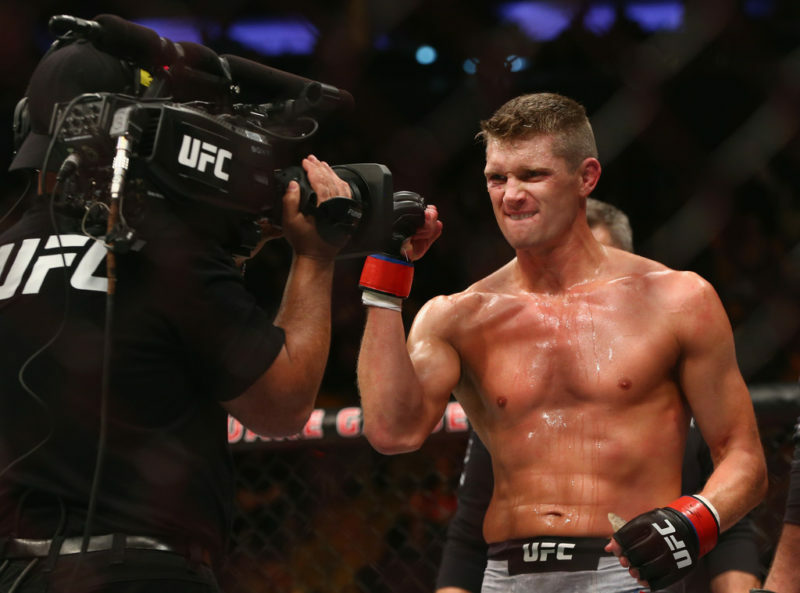 Stephen Thompson is one of the most unique fighters in the UFC, which tends to cut both ways in terms of the respect he gets as a competitor. To some (especially when he was on his way up), Thompson’s style seems fatally limited; overlooked among Thompson’s impressive highlight reel is his reaction to the sound pressure of Matt Brown, and getting dropped by Jake Ellenberger. On the other hand, there’s no denying that Thompson is an elite striker at welterweight; while his kickboxing record is impressively meaningless, it takes a uniquely strong striker to outclass Jorge Masvidal or the good version of Johny Hendricks the way Thompson did. 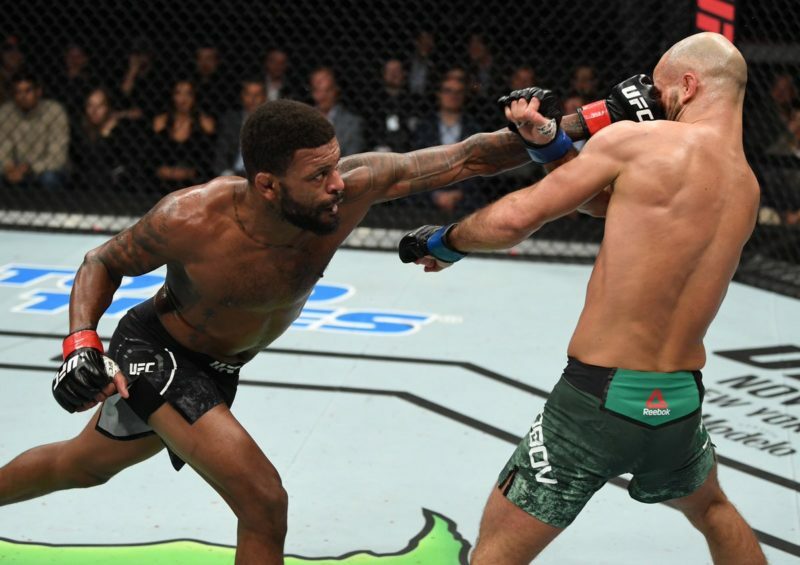 Thompson’s showings against Woodley and Till suggest that his style (while viable at the elite level) isn’t quite as untouchable as it seemed when he was on his way up; a decisive win over Pettis would allow Thompson to re-establish himself as more than a point-karate specialist. Thompson is a defined outfighter, and his strongest moments come against opponents willing to move forward but without the ability to soundly pressure. Thompson’s style is one characterized by copious lateral movement and the ability to strictly control distance; this skillset makes Thompson’s fights low-action when he doesn’t feel comfortable committing, but also means that he takes relatively little damage even while he’s losing. His approach is risk-aversion taken to an extreme, but it works well when faced with aggressive opponents who are willing to chase Thompson; by the time they swing, Thompson has usually just left the area (Thompson can generally just circle away, or he can force his opponent to back off with his hands before getting away from the fence). Thompson isn’t a great boxer, but he does possess the tools to keep an opponent from just constantly chasing after him; primarily, it’s a strong linear kicking game and a good counter straight. 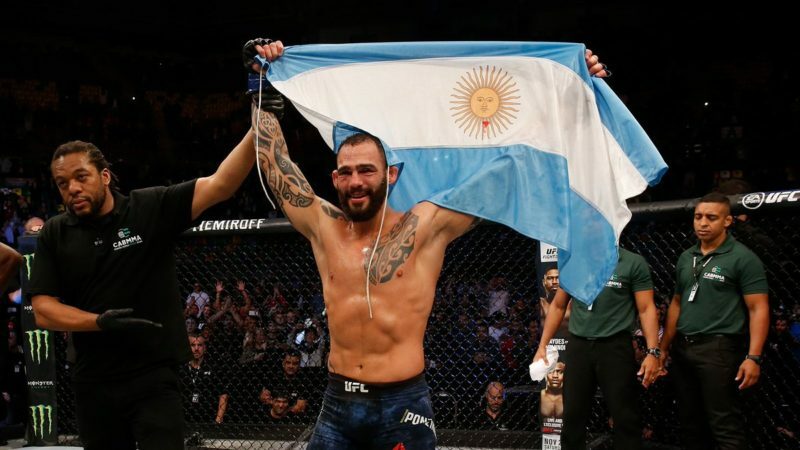 The former (usually the side kick to the body) keeps his opponent from being able to push forward too easily, and while it isn’t a high-damage maneuver, it scores points while stopping his opponent in their tracks (and, with Masvidal, knocking him off his feet) and allows him to lever the rest of his kicking game. The counter straight is the most consistently damaging tool in Thompson’s arsenal; most often from orthodox, Thompson can step back and crack his opponent as they commit to an attack. Thompson’s finish of Johny Hendricks hinged on that shot; as Hendricks charged forward with his head down, Thompson just circled out of the way and landed the right as Hendricks reset. Thompson’s ability to keep range with his footwork and his somewhat-threatening counterpunching open up his kicking game at range; Thompson is one of the better kickers at welterweight, and definitely the flashiest. Thompson’s ability to play from both stances and his large arsenal of attacks (often building off one another) can keep his opponent from defending effectively, but this only goes so far; Thompson’s kicking game is solid, but he also got outkicked at range by both Till and Masvidal (who targeted his lead leg and dealt real damage). In general, Thompson is defensively overrated; while his distancing and his conservatism keep him from taking a lot of damage, he’s often compromised when his opponent can force the pocket. The Till fight served as a good example of Thompson’s defensive strengths and weaknesses as a whole; Till had real trouble pressuring Thompson in the face of Thompson’s lateral activity, but when Till had finally managed to get through his meticulous distancing (without getting reckless to expose himself to counters), Thompson just ate the left hand clean. Thompson isn’t the untouchable karateka or even the top kickboxer that many believe he is, but he’s a skilled opponent who’s proven very frustrating to fight. The rationale behind Anthony Pettis moving to welterweight is a bit of a mystery; a career lightweight with a 1-1 record at featherweight, Pettis’s only fight at welterweight was pre-UFC (a sub-minute knockout in 2008). Off two fairly impressive performances at 155 pounds, Pettis moving to a weight class where he’s undersized by a considerable margin is curious, but he has a chance to immediately get in the running for a title shot if he can decisively put Thompson away. Pettis has always operated as a striker first-and-foremost, with strong tools at distance and hands just powerful enough to keep someone from crowding him recklessly. At distance, Pettis plays a good distance-kicking game; he comes out in the opposite stance as his opponent, and pelts them with rear-leg body kicks and head kicks until they wilt. If his opponent gives Pettis the space to work at that range, he’s very hard to beat; Pettis is a uniquely dexterous round-kicker with the power to finish a fight with each one. Pettis can counterpunch decently as long as he isn’t forced to pocketfight for too long; if he can time his opponent’s entry, he can throw a good right hand (as Chiesa found), but Pettis isn’t a rounded-enough boxer to win extended pocket exchanges. This has caused Pettis a good deal of problems in a division that isn’t really short of good pocket operators nor of fighters who can crowd Pettis effectively. 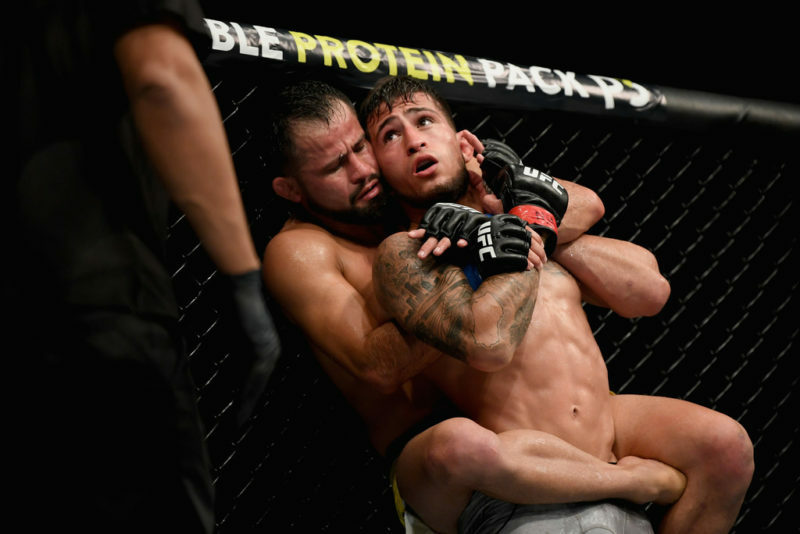 The best example of both of those together was Rafael dos Anjos, who battered Pettis for 25 straight minutes; dos Anjos pushed Pettis back to stifle the kicks, and as Pettis tried to circle off, beat him down in the pocket with Pettis offering little resistance. Dustin Poirier and Tony Ferguson came to similar conclusions; Pettis wasn’t particularly hard to push to the fence, and he didn’t have a whole lot to offer once he was there. 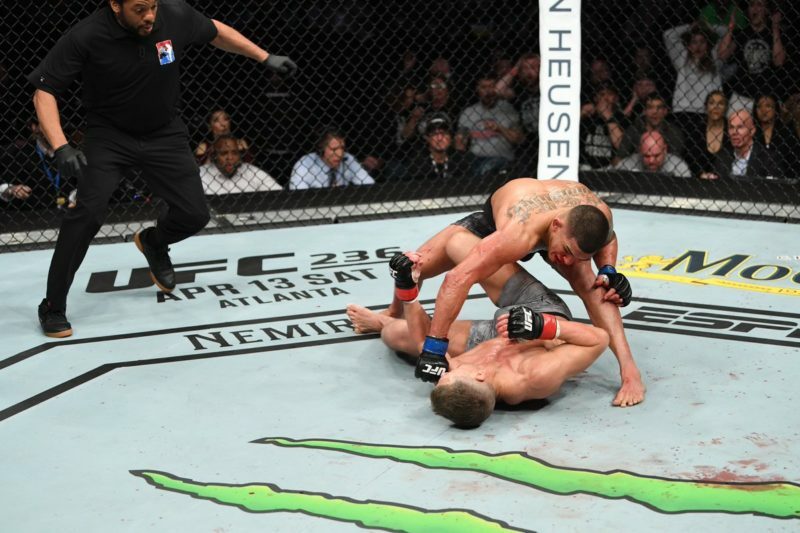 Ferguson’s pure pressure came with some risk, as Pettis was able to tag him with a right hand that wobbled him badly, but for the most part, Ferguson was able to stalk forward with inside leg kicks and jabs and stifle Pettis’s favored attack completely. Pettis’s grappling is very strong, especially from the guard, but he hasn’t consistently (i.e. 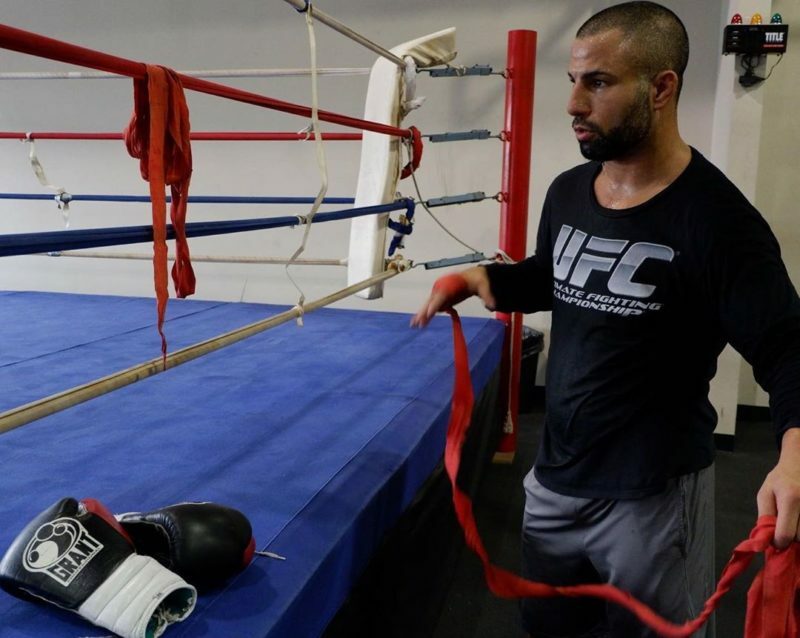 outside of his fight against Jeremy Stephens) shown the wrestling to leverage it. Pettis will most likely strike with Thompson, and he’s adept enough as a striker to pose a challenge to most of the fighters he faces. Stephen Thompson should win this fight relatively handily. 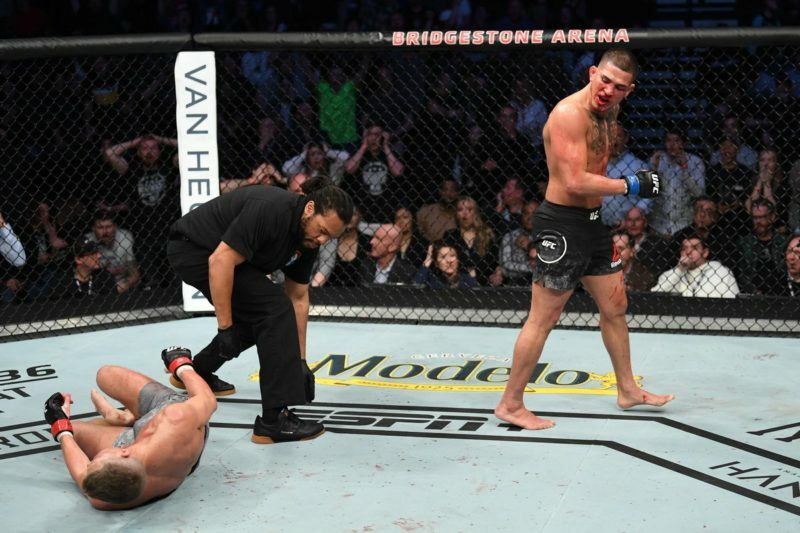 In general, Anthony Pettis isn’t a sound enough pressurer to make Thompson uncomfortable (without running onto counters); both of them prefer to float around in the open, and that favors Thompson’s rangier and more versatile kicking. It isn’t impossible that Pettis causes Thompson some issues, since he’s the likely more damaging kicker, but it’s hard to see Pettis leveraging those kicks against an opponent with a big size advantage and is a good deal more mobile (especially since Pettis’s kicking game is historically so reliant on the open-stance, Thompson’s switch-hitting could cause some issues). While Thompson is an overrated striker, unless Pettis shows skills that he hasn’t before, Thompson presents a nearly insurmountable challenge. 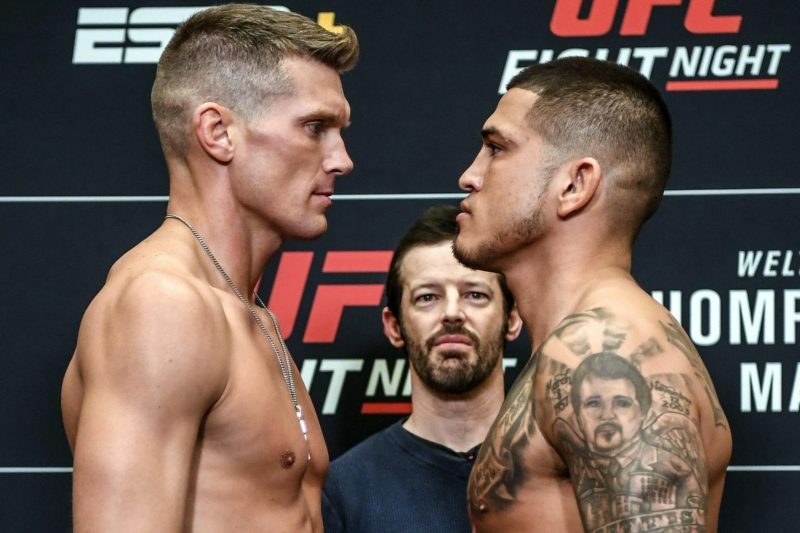 Stephen Thompson vs. Anthony Pettis prediction: Thompson via unanimous decision. This writer caps Thompson at -300.